I bought the Anastasia Beverly Hills Master Palette by Mario after waffling back and forth about it. I haven't purchased any palettes since the Nordstrom sale a few months ago, and to be honest, have been having a bit of palette fatigue (if that can be a thing). It just feels like every brand is making these huge palettes all the time now, and I am getting a bit tired of the constant barrage. I was drawn to the Mario palette for a few reasons. It is a slightly more edited palette. There are twelve shades, but Lorac just released a palette that has 32 shades, so this does feel smaller in comparison to some of the others out there. I like that the collaboration is with a real professional, working makeup artist, Mario Dedivanovic. It seems like so many collaborations recently have been with Youtube sensations that hold themselves out to be makeup artists, but many really only do makeup on themselves. I may not really like some of Mario's clients, who shall remain nameless, but I do like his overall aesthetic and appreciate that the brand reached out to someone actually working in the industry. The more neutral color scheme was probably the biggest draw for me. The colors are ones that are actually wearable in real life. As much as I might think a palette with all sorts of bright colors is pretty, I will not get use from something like that. I have heard good things about the products from Anastasia Beverly Hills. Prior to this, I only have purchased one item from the brand, Brow Wiz. The shadows themselves are nicely pigmented. I have noticed that there is a lot of kickup in the pans when you place brushes in them. You really have to try to not move the brush around a ton because the powders are really soft. The only one that is problematic is Kim. When I went to swatch it with my finger, I sort of smashed the powder, even though I did not really push very hard (at all). The overall softness of the shadows isn't awful and is somewhat forgivable given how well the shades blend, but they really shouldn't crumble like that. Fortunately, that shade seemed to be the only one that is overly soft. The brush that is included is decent. I like the fluffier side better and find that it works well for blending the shades into the crease. The colors are very blendable and lasted all day on me when tested. I got 6 hours of wear time without using primer and 13 hours using primer. Please keep in mind I have oily lids, so nothing lasts that very on me without primer. Other than some small issues with the softness of the shades, I really am very happy with this purchase. I like the neutral colors and the blendability of the shades. 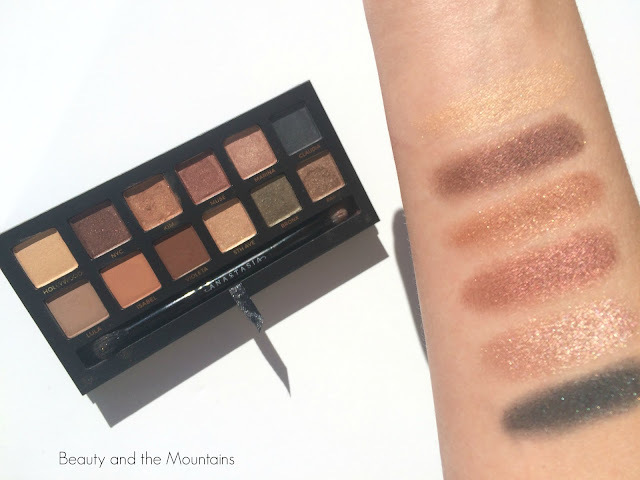 This does have me interested in other Anastasia Beverly Hills eyeshadows. I know you can build your own quads and that may be something that I try in the future. I purchased the palette from Anastasia's website (for some reason it is not showing up on their site now - not sure if it is sold out), but it is also now available at Sephora. The cost of the palette is $45. 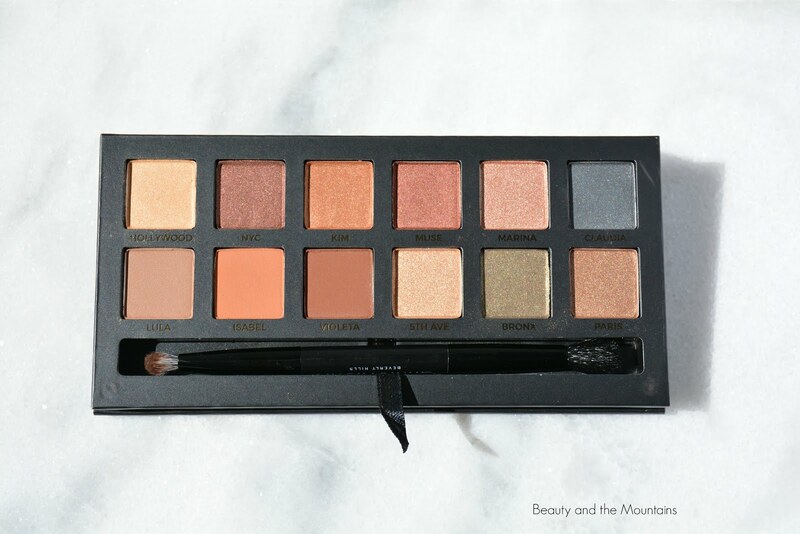 The shadows are made in the US according to the package and the brand is cruelty-free. 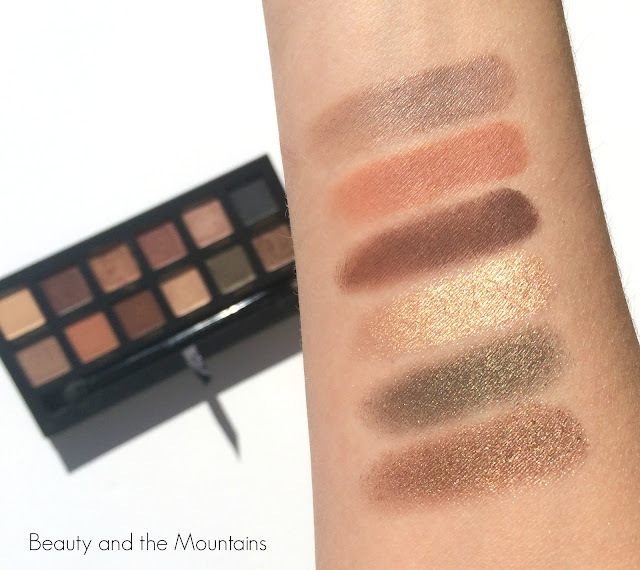 How do you feel about the deluge of palettes being released? As the seasons change, I invariably start reaching for heavier scents. 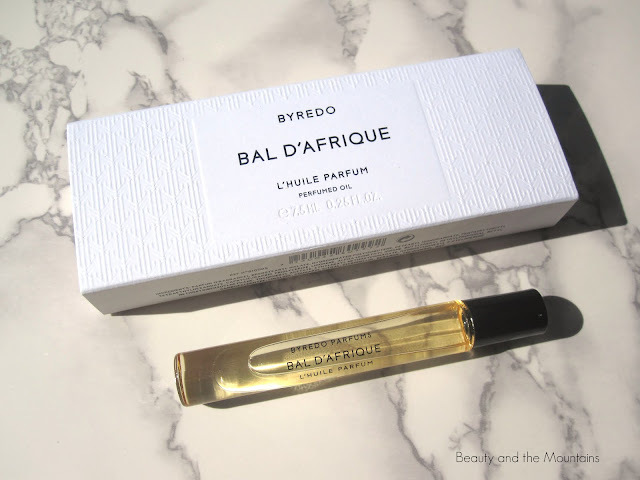 I picked up two fragrances recently that I think will be good as we transition into fall. Commodity Gold is something I have had on my wishlist for some time now and I finally decided to try it out. Elizabeth and James expanded their line a couple months ago and added two new fragrances, Bourbon and Rose. I chose the Bourbon version. Commodity Gold is a fairly strong scent. I think it is interesting that this is in the White Collection, as that collection is supposed to be light and airy scents. This is not - it is definitely more heavy and it lasts a long time. I purchased the smaller version, which is actually a spray and not a rollerball. I can only do one spritz of this. Any more than that and it is too strong for me. On me, this goes directly from the amber notes down to the vanilla and musk. I do not get any of the juniper or bergamot. It is a nice scent that I like a lot, but given how strong it is, I'm not sure that I will repurchase. I love my Elizabeth and James Nirvana scents in White and Black, so I had high expectations for this one as well. Bourbon does not disappoint. It is a creamy vanilla bourbon, but the bourbon note is definitely there. If you dislike the smell of bourbon, you should really try in store first. This is kind of reminiscent of Tom Ford Tobacco Vanille, in that the vanilla is very dark and intense (this is way less expensive and lacking the tobacco note, sadly). The rollerball is perfect, as I really like putting stronger scents on pulse points, rather than spraying my clothes. Staying power with the roller version was great. It has lasted a full day each time I have tried it. I saw some reviews on Sephora complaining about the scent fading quickly, so I wonder if the difference is the spray vs. roller. Switching to deeper scents is making me happy about the season change. I love fall, but not really looking forward to the snow that will shortly follow. Do you wear the same scents year round or switch based on seasons? I love skincare products, cleansers especially. I like the feeling of a clean, but not stripped, face. 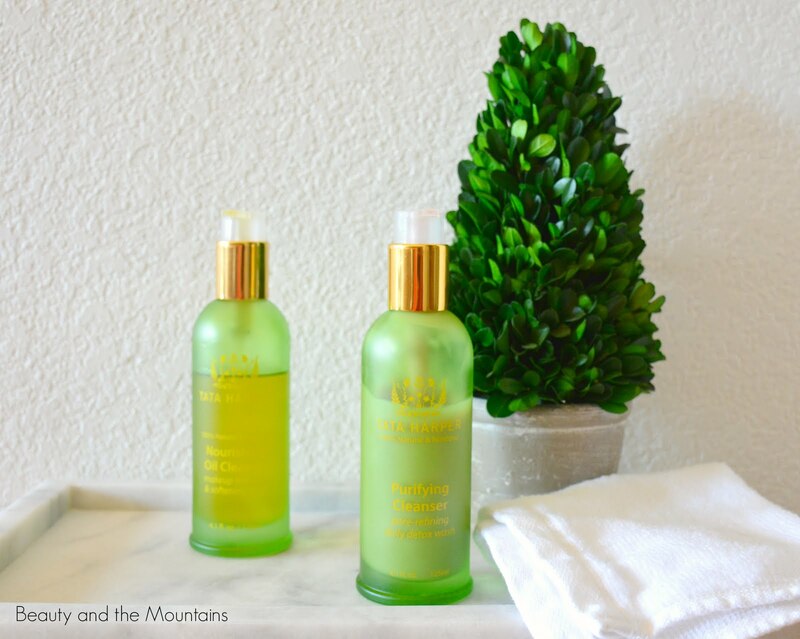 Two cleansers that I have been absolutely loving are from Tata Harper. Tata Harper is a green beauty line that emphasizes using natural products, many of which are grown on her farm in Vermont. 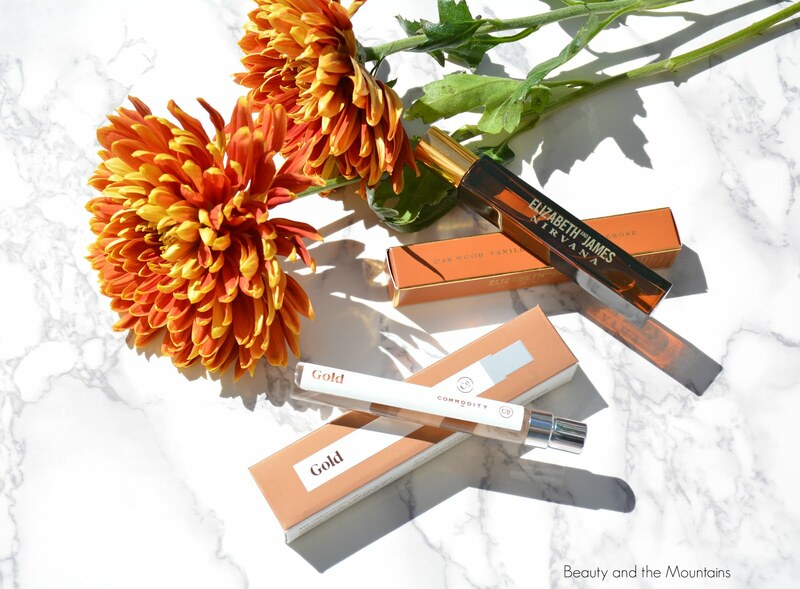 The brand is cruelty free and utilizes tons of organic ingredients, with no synthetic dyes or fragrance. I picked up these two cleansers a couple months ago as a foray into the line and they are both so good. 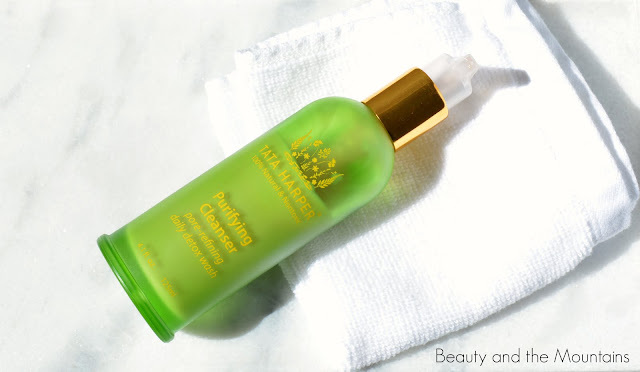 The Purifying Cleanser is meant to remove buildup and impurities from the skin. The first thing I noticed was how amazing this product smells. It is very clean and fresh - it has a lemon scent that is noticeable, but not overpowering. It contains Kaolin clay, but the clay is balanced with nourishing ingredients like Aloe and various plant oils. The cleanser is purifying, but not drying. I find that so many products that are made to remove impurities from the skin just leave the skin very dry. This does not. My skin feels clean after, but not tight or dry. 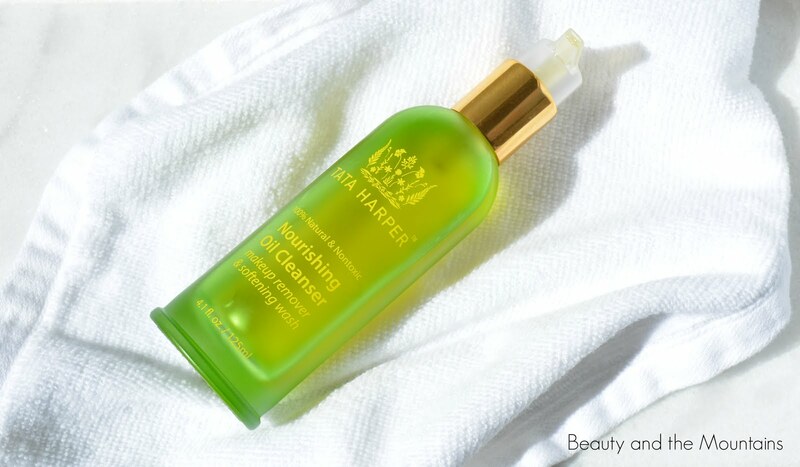 The Tata website states that you can use the Nourishing Oil Cleanser to remove makeup, and I am sure that it can do that, but I prefer to use dedicated makeup removers for that purpose, for a few reasons. Makeup removers, such as Clinique Take the Day Off, Pixi Nourishing Cleansing Oil, Boscia Makeup Breakup Cleansing Oil, etc. are made for the specific purpose of removing makeup, so they do an amazing job of it. Also, makeup removers tend to be cheaper. The Tata cleanser is $68, and for that price, I do not want it to do the job of a less expensive product. I want this to actually be on my skin. The Nourishing Oil is great at cleansing the skin, but keeping it moisturized. I have combination skin and this cleanser is like a dream for me. It cleanses the oily parts, but does not dry out the rest of my skin. If you have oily skin, oil cleansers are amazing. I know I spent a ton of years buying everything oil free, but all it did was strip my skin, which led to more oil production. This cleanser removes what it needs to, but does not take away the natural moisture that skin should have. My only complaint about this cleanser is the pump. For some reason, and this does not happen on my Purifying Cleanser, the pump locks up and/or shoots product out. I really hope Tata works on the pump for this, as the cleanser is amazing, but the pump drives me a bit nuts. I have had to become an expert in catching the cleanser when it comes shooting out. I am really loving the Tata Harper range of cleansers. I feel that the ingredients are high quality and they perform very well. I have a couple of their masks and they work really well for me. I tried the Rejuvenating Serum, but it did not react well with my skin and I had a bad cystic acne breakout from it. I am looking forward to trying the Clarifying Moisturizer, as they made it with acne-prone skin in mind. I am hoping I will have a better experience with that. 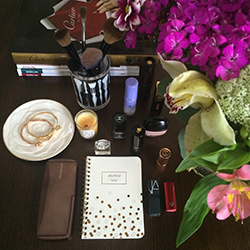 What have you tried from the Tata Harper line? I purchased Byredo's Bal D'Afrique earlier this year when I was at a conference in Las Vegas. The Barneys there had most of the Byredo line and I finally got to smell the scents in person. 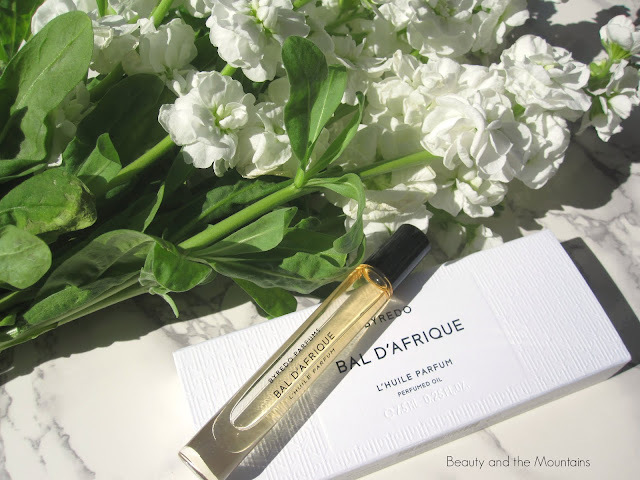 The entire line is beautiful, but I completely fell in love with Bal D'Afrique. To me, it is a really original scent and I have not smelled anything even remotely similar before. 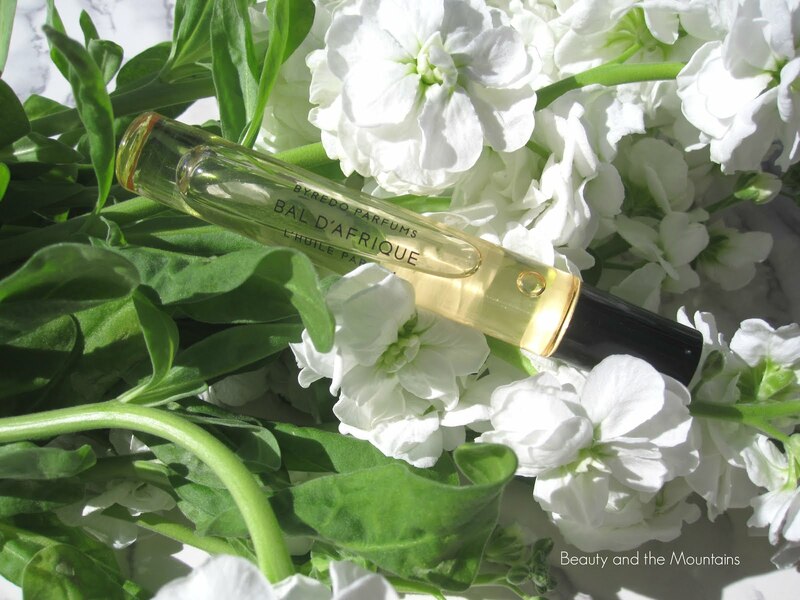 This is truly a scent that is hard to describe and it really changes over time. 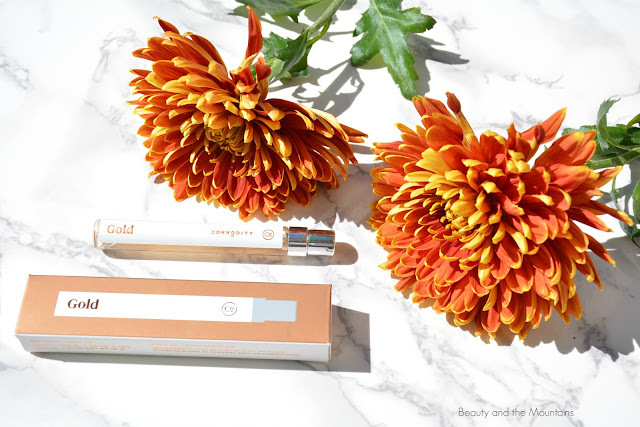 I get a lot of marigold initially and then later it definitely gives off more amber and cedarwood, but scents develop differently depending on body chemistry. You can buy samples from Luckyscent for a reasonable price, so that is something worth doing if you are not near a counter that has this for you to try. The scent comes in a spray version, which is available in two larger sizes and a trio of travel sizes, and a rollerball oil version that is $78 for 7.5ml. I chose the oil as I had a carry on bag, but I very much like that it is an oil versus a liquid. 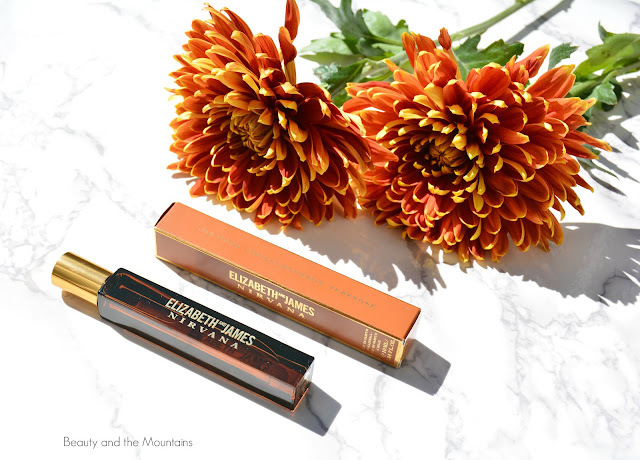 The scent lasts a long time with the oil (I am talking upward of 14 hours without reapplying), but it is not overly strong. The packaging does make it sort of tricky to get the oil out. You have to rub the rollerball pretty hard to get product onto the skin. On the opposite side though, I traveled with it and had no leakage, which is impressive for an oil. I guess the difficulty getting product on is the trade off for no leakage. I am fine with it as it keeps me from over applying, which has happened to me with some rollerballs where a lot of product comes out. Overall, this is a scent that I really love and am so happy that I purchased. 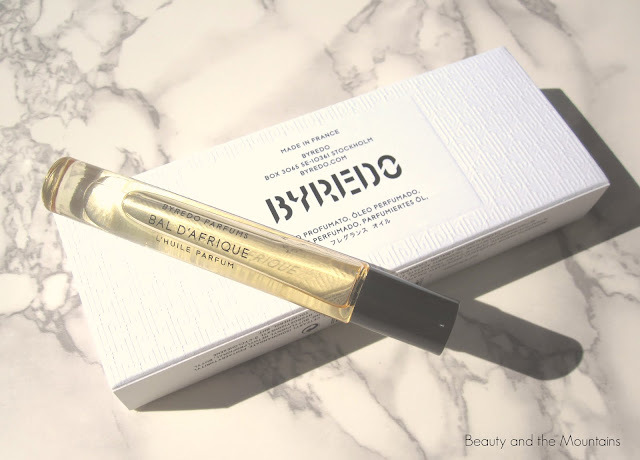 I did get some samples of a few other Byredo scents, but they are more floral so I will probably wait until Spring to see which one I want to purchase. 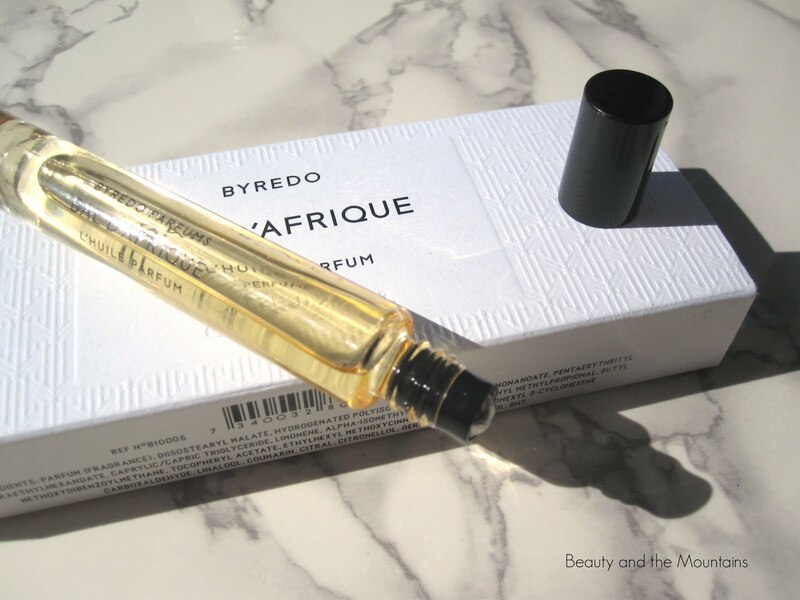 Have you tried anything from Byredo?